In contrast to hyperphagia resulting from physical hunger, over‐eating for emotional reward or as a coping strategy is regulated by the hedonic system and has little to do with the body’s real or perceived need for calories. 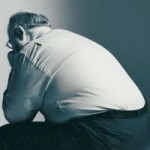 The range of psychological or emotional factors that can initiate and influence eating encompass virtually the entire range of emotional responses including stress, frustration, loneliness, anxiety, anger, disgust, fear, grief, joy, relief, all of which can significantly alter dietary restraint or promote disinhibition. Typically, hedonic hyperphagia is associated with the selection and consumption of highly palatable energy‐dense ‘comfort’ foods, although homeostatic hyperphagia also tends to be associated with the preferential consumption of palatable foods. In addition to simple ‘emotional’ over‐eating, specific psychiatric conditions that affect food intake or can pose important barriers to maintaining a healthy diet must be considered. Increased appetite is a feature of atypical depression and can be interpreted as ‘self‐medicating’ with food – particularly in cases where these foods affect the serotonergic and reward systems to improve mood. Binge eating, night eating and other abnormal eating behaviours must also be seen in the context of underlying emotional or psychological processes that are distinct from homeostatic ingestive behaviour. Other mental health conditions that can significantly affect eating include attention deficit disorders, post‐traumatic stress syndrome, sleep disorders, chronic pain, anxiety disorders, addictions, seasonal affective disorder and cognitive disorders. Particularly sleep deprivation has been associated with increased appetite and ingestion of highly palatable snacks as well as increased risk for diabetes. Patients with obesity resulting from emotional eating or hedonic hyperphagia are most likely to benefit more from psychological and/or psychiatric interventions rather than simply from dietary counselling. 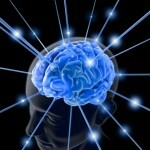 Commentary: Although for didactic and practical purposes I find it helpful to distinguish between what I have referred to as “homeostatic” vs. “hedonic” hyperphagia, it is important to note that at a physiological level, the distinction between the “homeostatic” and “hedonic” pathways is not as clear cut as is often assumed. 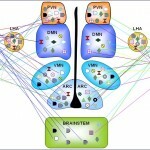 In fact, there is close and complex cross talk between these pathways. For example, hunger, a feature of the “homeostatic” pathway, is also a powerful activator of the “hedonic” pathway, thus leading to seeking out and consumption of caloric-dense foods. On the other hand, “hedonic” drivers to eat can override satiety and lead to eating even when not hungry. This, physiology, however, does not take away from the fact that in clinical evaluation, trying to distinguish between homeostatic and hedonistic is often helpful in determining the appropriate treatment path. In my talks, I have often joked about how to best keep weight off – just carry around a backpack that contains the lost pounds to fool the body into thinking the weight is still there. It turns out that what was intended as a joke, may in fact not be all too far from how the body actually regulates body weight. As readers of these posts are well aware, body weight is tightly controlled by a complex neuroendocrine feedback system that effectively defends the body against weight loss (and somewhat, albeit less efficiently, protects against excessive weight gain). Countless animal experiments (and human observations) show that following weight loss, more often than not, body weight is regained, generally precisely to the level of initial weight. With the discovery of leptin in the early 90s, an important afferent part of this feedback system became clear. Loss of fat mass leads to a substantial decrease in leptin levels, which in turn results in increased appetite and decreased metabolic rate, both favouring weight regain and thus, restoration of body weight to initial levels. Now, an international team of researchers led by John-Olov Jansson from the University of Gothenburg, Sweden, in a paper published in the Proceeding of the National Academy of Science (PNAS), provides compelling evidence for the existence of another afferent signal involved in body weight regulation – one derived from weight-bearing bones. In a first series of experiments, the researchers observed that implanting a weight corresponding to about 15% of body weight into rodents (rats and mice), resulted in a rapid “spontaneous” adjustment in body weight so that the combined weight of the animal plus the weight implant corresponded more-or-less to that of control animals. Within two weeks of implanting the weights, ∼80% of the increased loading was counteracted by reduced biological weight, largely due to reduced white adipose tissue (WAT), accompanied by a corresponding decrease in serum leptin levels. (Interestingly, this weight loss was also accompanied by a substantial improvement in insulin resistance and glucose homeostasis). The decrease in “biological” body weight was mainly attributable to a reduction in caloric intake with no changes in fat oxidation, energy expenditure or physical activity. Removal of the implanted weights resulted in rapid weight regain to initial levels, showing that the “weight sensor” was active in both directions. Experiments showed that this “weight sensing” mechanism was largely independent of the leptin pathway and did not appear to involve grehlin, GLP-1, a-MSH, estrogen receptor-a, or the sympathetic nervous system. 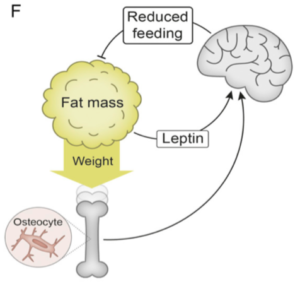 Now for the interesting part: the observed effect of weight loading was not seen in mice depleted specifically of DMP1 osteocytes, demonstrating that the suppression of body weight by loading is dependent on osteocytes. As the authors note, these findings are consistent with a growing body of data indicating that the skeleton is an endocrine organ that regulates energy and glucose metabolism. Indeed, it is well known that osteocytes can sense dynamic short term high-impact bone loading for local bone adaptation – now it appears, that osteocytes may also play a vital role in sensing overall body weight and signalling this to the brain centres that regulate energy balance and body weight. Thus, in summary, not only have the authors provided compelling evidence for a “weight-sensing” role for bone osteocytes (presumably through their presence in the long weight-bearing bones of our lower extremities) but also provide a plausible biological explanation for the weight gain and change in fat mass seen with prolonged sedentariness (which literally takes the weight off the bone). These findings may also finally explain why rats held at increased gravity for extended periods of time (simulated G2) become lean even when their energy intake matches their expenditure. Perhaps, carrying around a heavy backpack may indeed help with long-term weight loss maintenance after all – who knew? 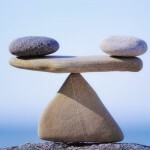 If there is one thing we know for sure about obesity management, it is the sad fact, that no diet, exercise, medication, not even bariatric surgery, will permanently reset the body’s tendency to defend and regain its body weight to its set point – this generally being the highest weight that has been achieved and maintained for a notable length of time. Thus, any effective long-term treatment has to offset the complex neurobiology that will eventually doom every weight-loss attempt to “failure” (no, anecdotes don’t count!). Just how complex and overpowering this biological system that regulates body weight is, is described in a comprehensive review by the undisputed leaders in this field (Michael Schwartz, Randy Seeley, Eric Ravussin, Rudolph Leibel and colleagues) published in Endocrine Reviews. Indeed the paper is nothing less than a “Scientific Statement” from the venerable Endocrine Society, or, in other words, these folks know what they’re talking about when it comes to the science of energy balance. Over 30 pages, backed by almost 350 scientific citations, the authors outline in excruciating detail just how complex the biological system that regulates, defends, and restores body weight actually is. Moreover, this system is not static but rather, is strongly influenced and modulated by environmental and societal factors. Indeed, after reading this article, it seems that the very notion, that average Jane or Joe could somehow learn to permanently overcome this intricately fine-tuned system (or the societal drivers) with will power alone is almost laughable (hats off to the very few brave and determined individuals, who can actually do this – you have climbed to the top of Mount Everest and decided to camp out there for the foreseeable future – I wish you all the best!). Sadly, despite all we have learnt about this system, we are still far from fully understanding it. 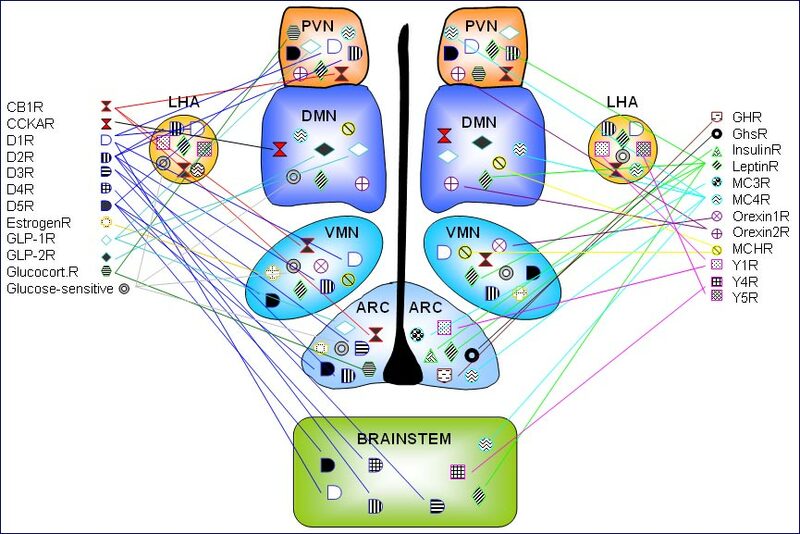 Thus, the canonical molecular/ cellular signaling pathway: LEP → LEPR → POMC, AgRP → PC → MC4R is just one pathway in a complex network of multiple interacting and sometimes redundant pathways that involve virtually every part of the brain. Throw in the role of gut bugs, infections, and societal factors, and it is easy to see why no simple solution to the obesity epidemic are in sight (let alone a range of effective long-term treatments like we have for most other common chronic diseases). There is much work to be done. Whether or not, in this climate of anti- and pseudo-science, funding for such fundamental work will actually be made available, is anyone’s guess.